Email marketing is one way to generate more traffic to your website and can increase your overall online marketing campaign. SEO and PPC are the cornerstones to a majority of SMB’s online marketing campaign and email marketing is an alternative method that can be used to increase the volume of your overall traffic to your website. Like direct mail, email marketing is a science. Email blasts aren’t always the best way to get a potential email interested in your service or product. 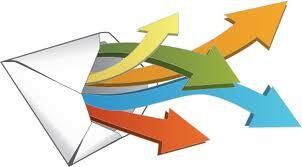 Actually the stats show that direct mail has a higher impression rate than email marketing. The reason is because people who utilize email marketing use it incorrectly. Just because you send out a template email blasts doesn’t assure new business. Actually they can be very annoying if they are done in bad taste. Like print marketing you want to make a concentrated effort to offer a value proposition to the consumer. 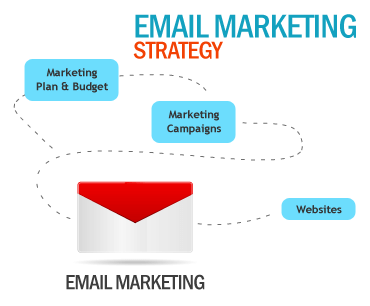 How Email Marketing Can Improve your SEO? Email marketing will increase the amount of traffic that is on your website which allows your analytics to collect as much valuable data as possible. You will be able to test specific landing pages, and understand what information people find to be important on your website. Having more monthly visitors also tells Google that you website is viral and people are sharing it. Having your website on relevant blogs, forums, press release, tweets, Facebook shares, and email chains is a good thing. People are sharing your information on more than simple directories. No matter how strong your current strategy is, it is important to keep a tab on the latest trends, make some edits and come up with some really interesting and exciting plans. Find out the preferences of your audience. What kind of marketing channels do they like, which social media channels they prefer, etc. Create a master list of your database. It’ll help you synchronize the widely scattered contacts on different platforms or maybe within the e-mail marketing software you use. This comprehensive list will enable you to launch the e-mail according to your preference. This means that if you want to send out an infographic or maybe a promotional e-mail to the US based prospects, you can do that conveniently rather than making a separate list altogether for region specific contacts. – if you are targeting the people in the United States and India, you’ll have to see the timings on which your audience is awake and working. This time zone difference can be one of the major factors that can reduce the amount clicks that you can get otherwise. So, you can set two campaigns targeting the geographically distinct audience on different time zones. 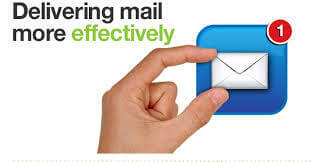 Ensure that the e-mails you send reach the inbox of the selected audience. You wouldn’t want the EDMs to reach their spam folders. There can be several ways with which you can figure out whether the EDMs are reaching the inboxes or not. For example: – you can set a “goal” on the software you are using, you can also set a “read receipt request” that helps you know that the e-mail had reached the inbox. No matter the receivers click on “yes” or “no”, you can still know about the same. Ensure that your e-mails load properly and fits the multiple screen dimensions. So right from the desktops, and laptops, to Smartphones, tablets, etc. you can use responsive web design to target different devices. Write eye appealing content and striking messages so that they are able to urge your targets to take the rightful action. Add important call-to-action, social media profile links and your website URL. This way, you’ll be able to increase the number of clicks on your website and business page as well. After your campaign has been launched, just open up the set EDM and see the number of clicks you received, number of people who sent subscription request, those who unsubscribed, etc. This helps you plan your future e-mails.